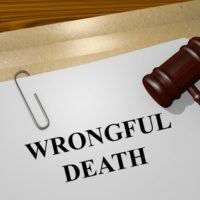 Filing a wrongful death suit in Florida is a complex endeavor. However, no issue is perhaps more complex and yet more important than that of damages. The entire point of bringing a wrongful death action is twofold – to seek redress from the person who caused the death of your loved one, and to potentially obtain compensation that can at least help offset the loss of a family breadwinner. Understanding the statutes regarding damages can go a long way toward helping you obtain that compensation. The bulk of the damages sought in most cases is enough to pay medical bills or funeral expenses. In this country, such bills can get expensive, and it is sadly not uncommon for them to be the cause of family bankruptcies. However, Florida law defines exactly who can be considered a ‘survivor’ of the deceased, so as to ensure that those who directly lose companionship or support by their passing will be appropriately compensated. Spouses, children and parents will be the only legally recognized survivors in most cases, though siblings and some other family members may be counted depending on the situation. It is important to keep in mind that these types of bills may be recovered only during a standard wrongful death action – that is, the type of action brought by the decedent’s personal representative, rather than by the survivors themselves. Generally, when someone dies, their estate is assumed to be the bereaved party for legal purposes of paying bills (because the estate pays the bills and then seeks reimbursement). Thus, it is the estate that is able to bring suit to be repaid for what it has paid out. The other type of damages sought in a wrongful death action is the intangible damages sustained by the survivors of the deceased, which is why this type of case is called a survival action. These causes of action are things like loss of companionship, pain and suffering and the loss of support and services. While obviously, no amount of money will erase the pain of losing a loved one, money damages are still sought both to help pay the bills for the family and to effect a type of punishment on the tortfeasor (the defendant). One thing that is important to keep in mind is that in Florida, you can file both a wrongful death case and a survival action, but you cannot recover on both causes of action. Case law dictates that if you are not entirely sure that someone’s negligence caused your loved one’s death or you are not certain who you would bring suit against at the time of filing, you may plead alternative theories (in other words, both at once), and when the facts are clearer, condense your action down to either a survival action or a wrongful death suit. Monetary compensation is not meant to somehow blunt the pain of losing someone you love, but it can help the adjustments you must make going forward to be less confusing and scary. Contacting an experienced attorney can help. The compassionate Winter Park wrongful death attorneys at the Hornsby Law Group are willing to sit down with you and articulate the process going forward, to help you make better choices. Contact the office today for a free consultation.